Be part of a nationwide event to empower college students to go vegan! On April 10th, activists like you will hand out leaflets on local college campuses, spreading the message of veganism and promoting our 10 Weeks to Vegan challenge. This fun volunteer opportunity is for everyone?not just college students! Whether you leaflet on your own or recruit a group of friends to help, it?s bound to be a rewarding day of outreach with a big impact for people, animals, and the environment. Complete this short form to sign up and claim your local campus! 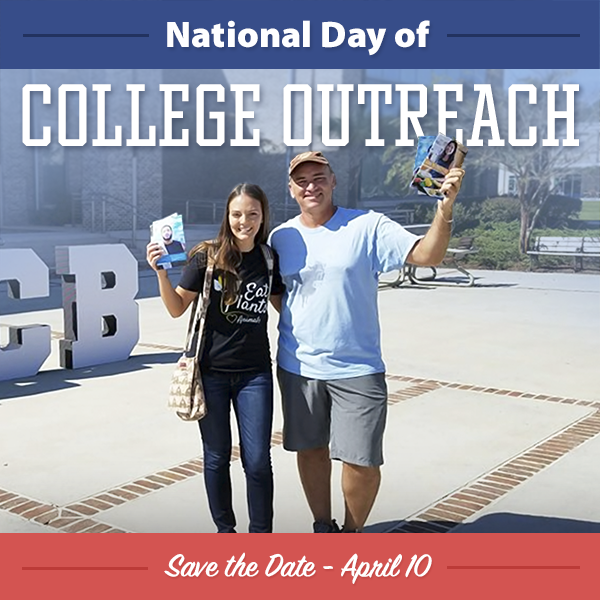 The post Save the Date?April 10th for National Day of College Outreach appeared first on Vegan Outreach.